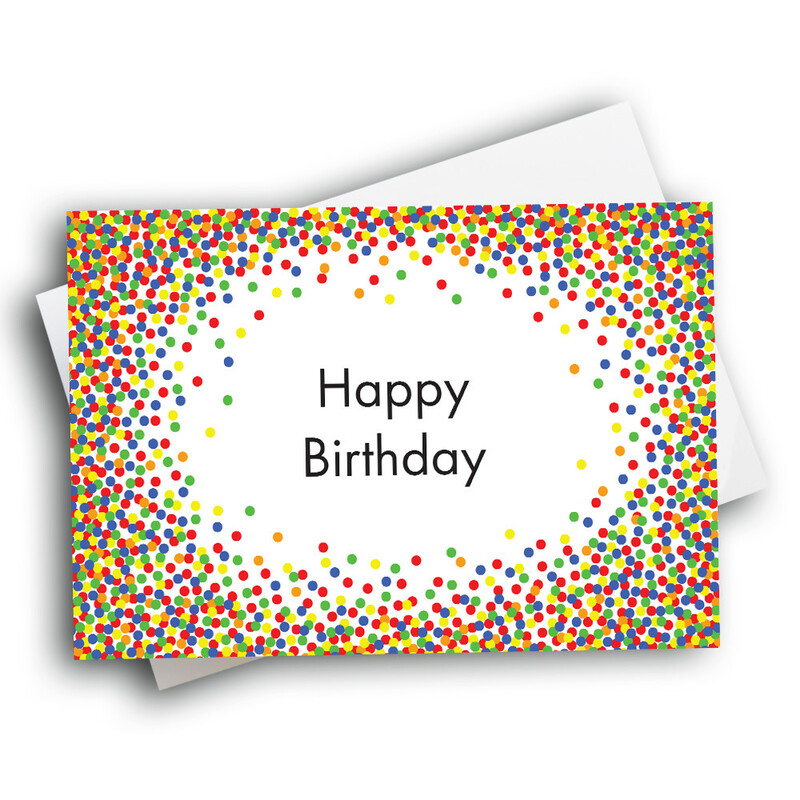 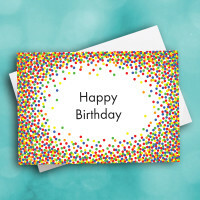 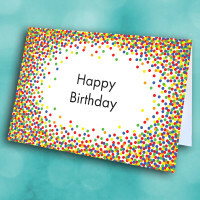 Send a burst of birthday cheer with this bright and bubbly birthday card. 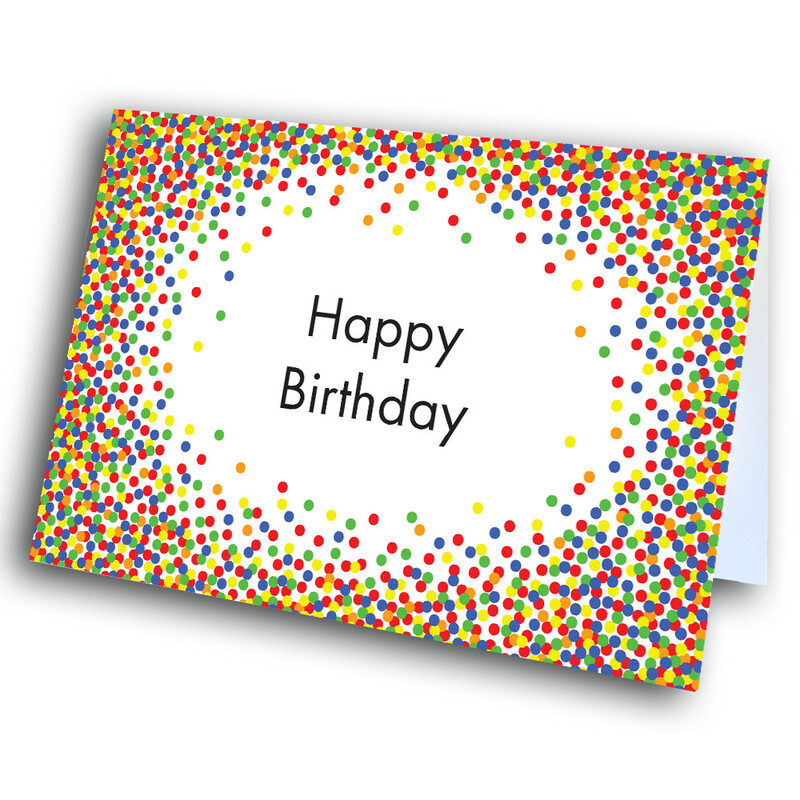 This birthday card is sure to bring some light into someone's special day. 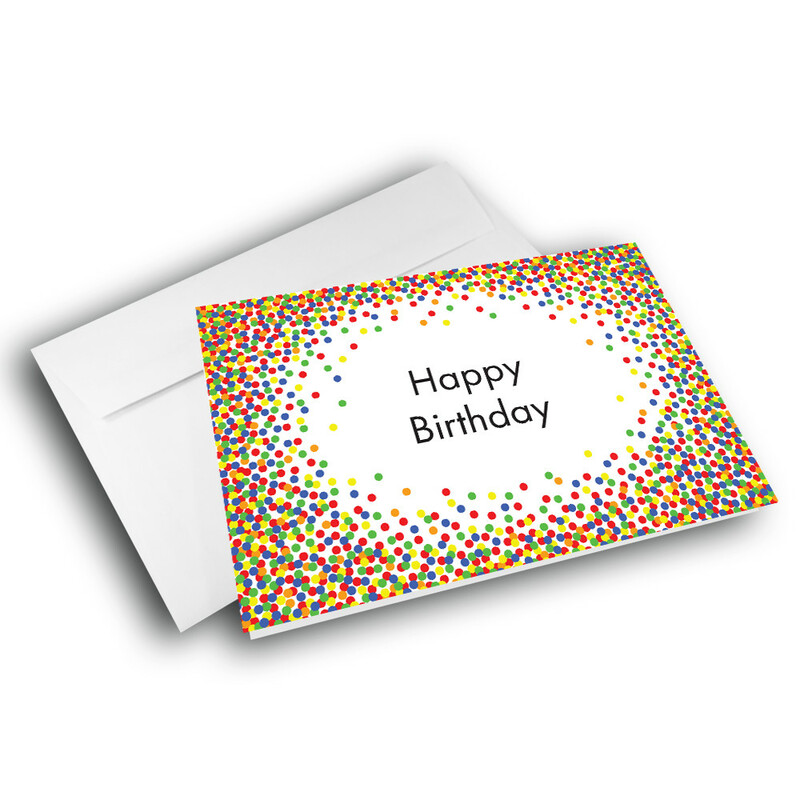 The front is bordered by a bright spattering of colorful confetti, surrounding the sweet and simple birthday greeting in the center. 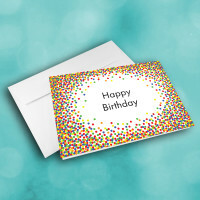 Make this a custom birthday card by adding a personalized message inside.